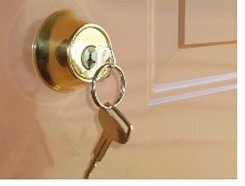 not cover cash only property transactions. Allsop Space recent events, would indicate that price rises will will continue. 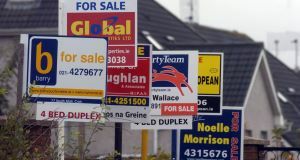 There still seem to be plenty of cash buyers looking for properties, to either live in themselves or to rent, within the Irish property market. The CSO report states that average Dublin house prices rose by 1 percent during April 2015, (average Dublin apartment prices showed no increase during April) and by 20.2 percent compared to April 2014. Excluding Dublin, residential property prices also saw an increase on a national level. In April 2015, house prices rose by 0.3 percent, with an annual increase of 11.4 percent compared to April 2014. Relative to the property boom peak values in the summer of 2007, Dublin house prices were 36.3 percent reduced and apartment prices were 42.2 percent lower. Outside the Dubln city and suburban region, residential property prices were 41.1 percent lower than the top of the boom period. 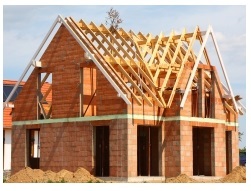 So for how long will these house prices, especially in the Dublin region, continue to rise? The obvious answer, is of course, for as long as there is a shortage of quality housing, One house price monitoring economic source has stated that that house completion rates are less that 50 percent compared to those of a "normal" property market and, in addition, only 1/3 of what the long term average build rate would need to be, in order to reduce the house price increases currently being observed. This summary is based on a recent Irish Times article and on information released by the Central Statisics Office. All details are subject to errors and omissions and you should always seek professional advice for your particular situation.